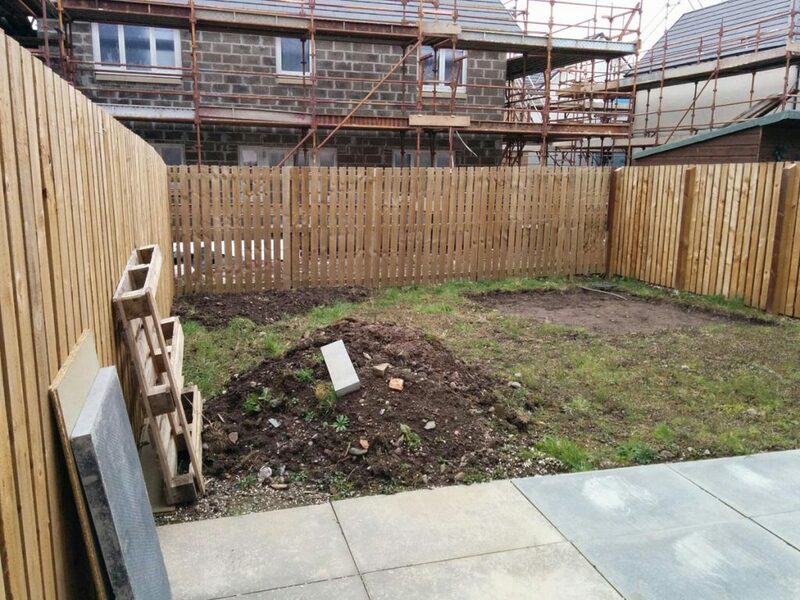 Our clients had bought their new build home and were left with a building site in the back garden to deal with. 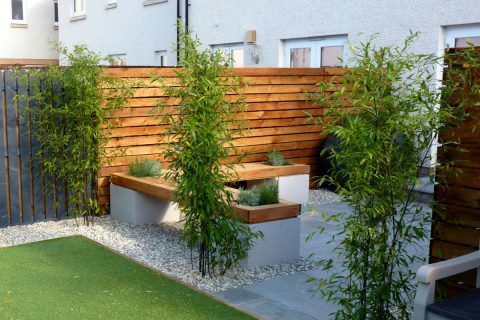 They were looking for a contemporary but low maintenance garden where they could relax and entertain. 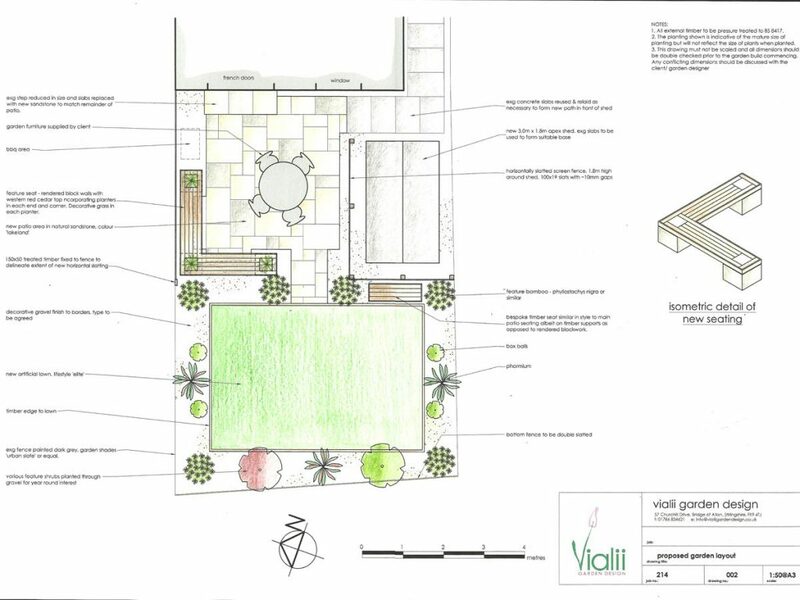 "Thanks very much for all the planning and work which you and your team put into our garden. 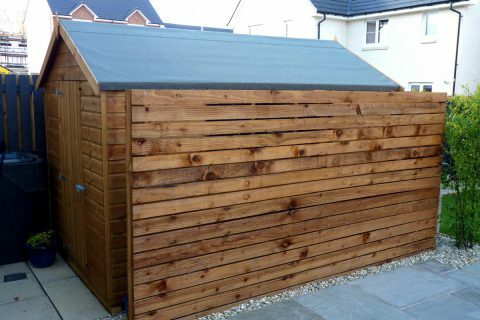 The difference is amazing, we both really like it and will be using it frequently from now on (weather permitting!)" 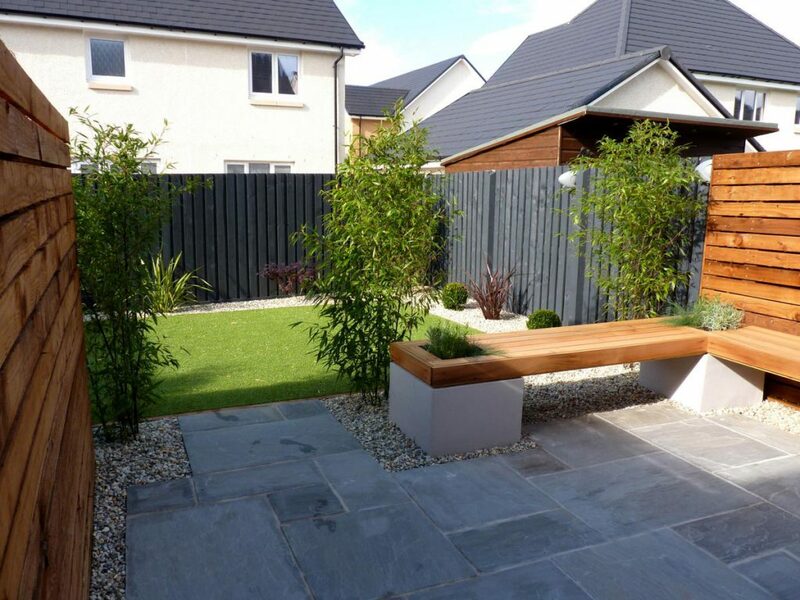 A large sandstone patio creates a lovely area to relax and dine. 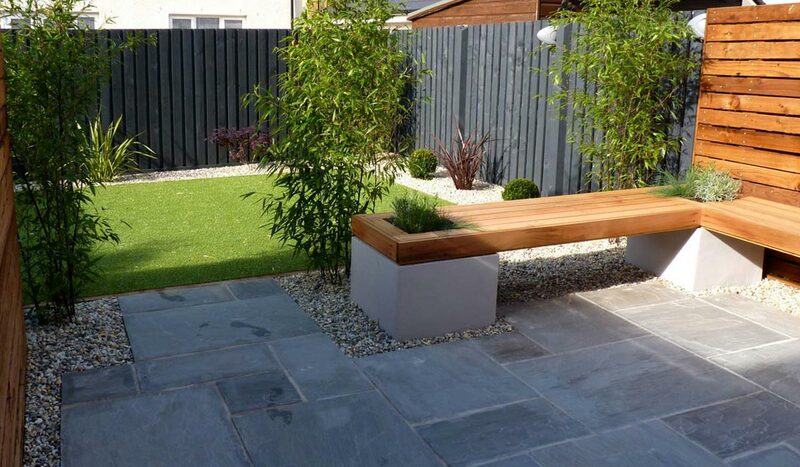 Surrounding the new patio is a bespoke, in-built seating area which creates a contemporary look whilst being very practical. The seat is made from beautiful cedar hardwood which sits on rendered blocks and is planted with rosemary, lavender and festuca creating wonderful smells as well as a great architectural look to enjoy while you relax there. 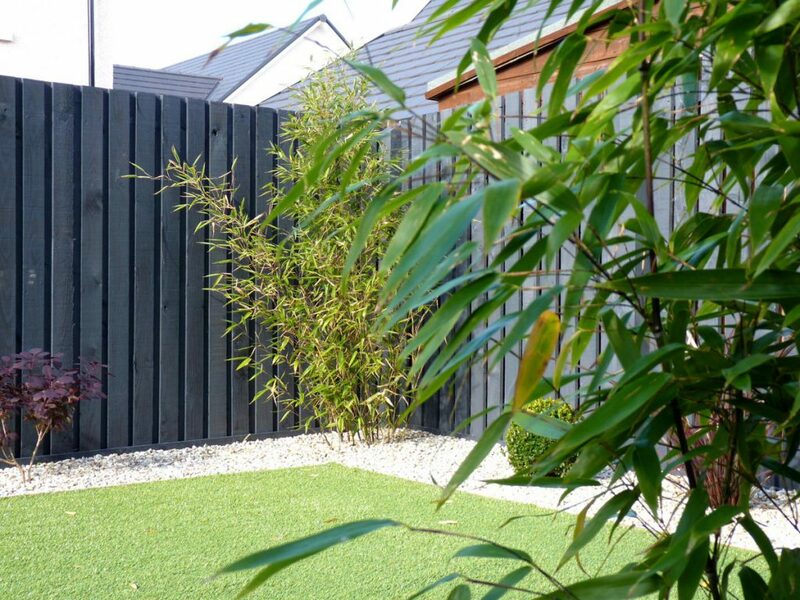 A lawn area was created using artificial grass and is surrounded with decorative ocean pebbles planted with architectural shrubs to continue the modern feel to the garden. 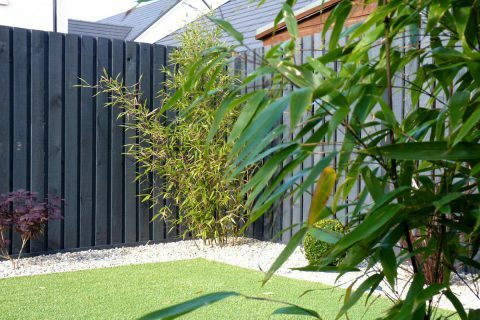 Two different fence finishes and styles were chosen to create the feel of two different rooms and bamboo was planted to help create this illusion. 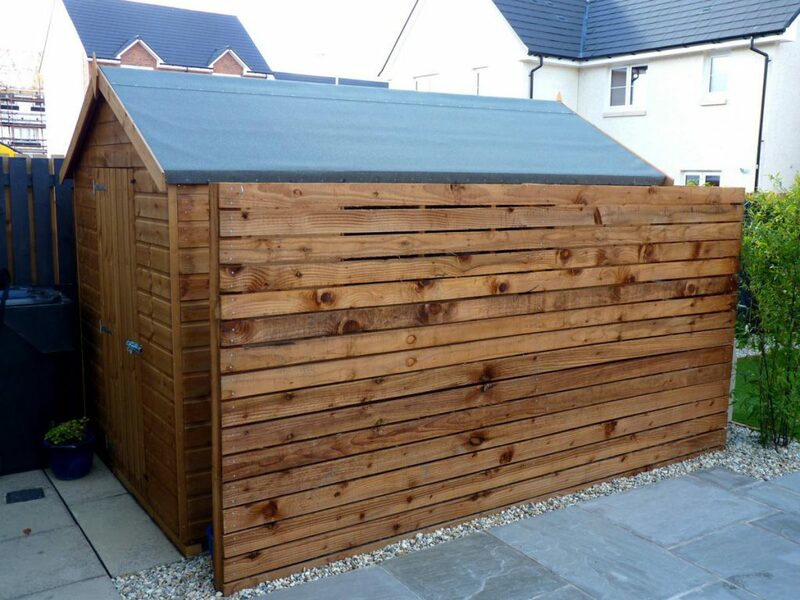 A new shed is screened off with horizontal timbers. 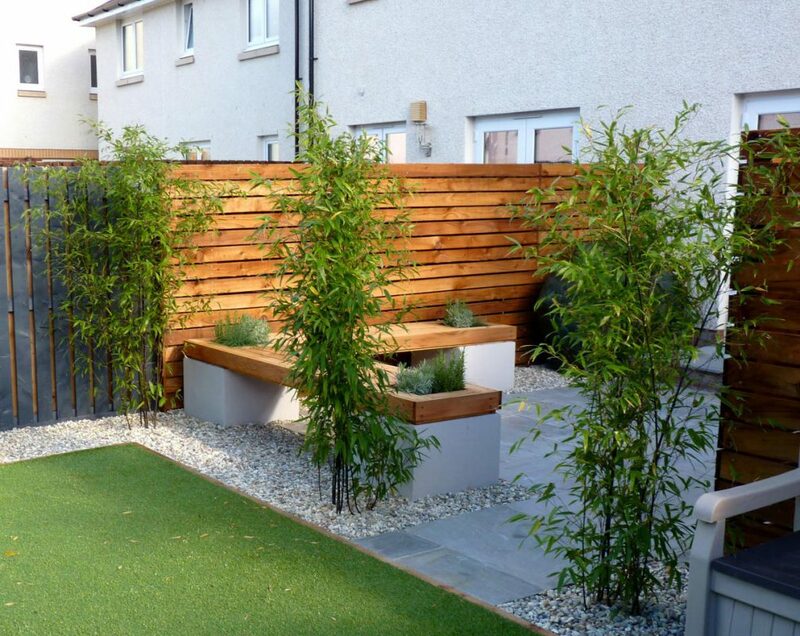 Low maintenance planting was required for this contemporary garden. Structural shrubs such as buxus sempervirens, phormium and cotinus create beautiful shapes around the garden. 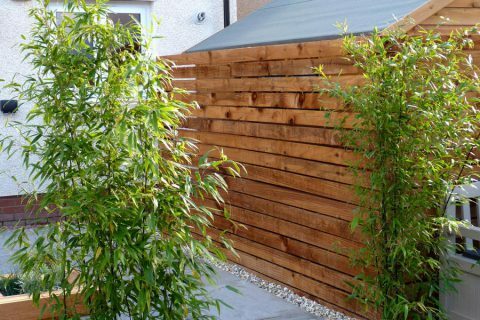 Year round interest is provided with lovely shrubs such as euonymus elatus and bamboo with the shrubs in the bespoke seat providing lovely scent. "A garden is never so good as it will be next year."